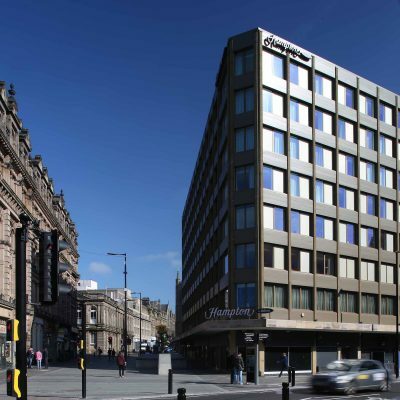 This project involved the conversion of an existing 1970’s office building into a 160 bedroom hotel in the centre of Newcastle. The building is located in the City’s Central Conservation Area opposite the Central Railway Station. 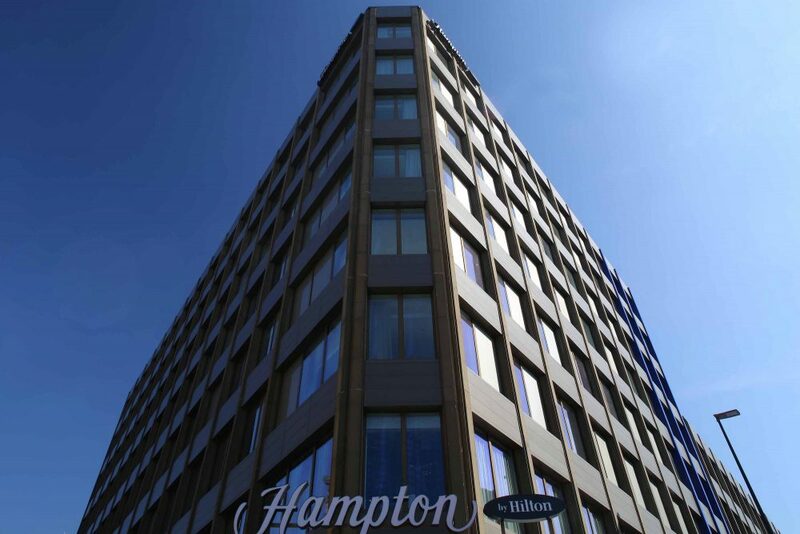 Metnor’s understanding of the Hampton by Hilton style brand and the clients deliverables was a major factor in initially securing the project following a rigorous PQQ and competitive tender process. The development involved a phased handover. The first phase of 124 bedrooms included the complete upgrading of the building’s external envelope. New insulated cladding was installed to replace the existing, which had been in danger of falling from the building. 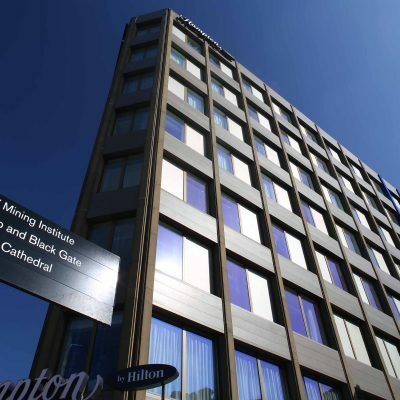 High performance windows to reduce sound transmission were provided along with Hilton brand signage. Internally, we provided back of house staff accommodation and hospitality, with front of house zones, public toilets, bedrooms and a breakfast kitchen at the second floor level. Bedrooms and hotel back of house accommodation is on the fourth, fifth, sixth and seventh floors. The final phase was an additional 36 bedrooms with more back of house hotel accommodation to the third floor. 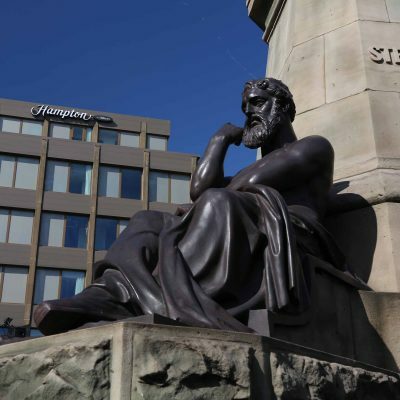 The building was taken back to the original structural reinforced concrete frame, with the new rooms created from the resulting empty floor plates using insulated metal stud partitions. The project achieved practical completion in February with additional rooms completed in June 2015.